Causes nightly invasions every 3 days in the overworld. 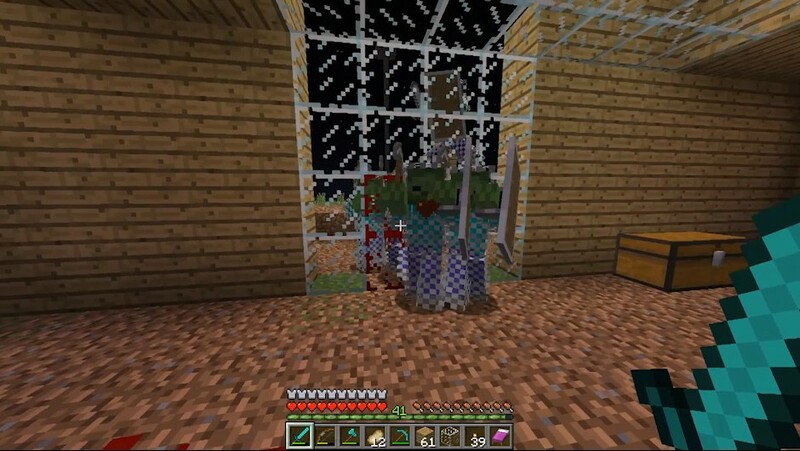 Zombie miners and other random mobs will attack your base. Miners will dig through blocks to get to you. Zombie soldiers will team up to hoist over your walls to get up to you. Rewritten old Hostile Worlds mod, with a focus on the base invading aspect. More info below. During invasion nights. The damage to your base is only temporary and will repair itself 5 real life minutes after the damage was done. Designed with modpacks in mind, invasions can be completely customized and support mobs from other mods if the mod will play nice. The mods balance was made with factory like modpacks in mind, where its an additional reason to have a fun base to defend against invaders. If you are just too busy or not ready to deal with an invasion, use the sacrifice block to trade some of your lifeforce to ward off the invaders, each time you skip an invasion, it will make the next one harder. After 3 consecutive uses you'll have to fight a buffed up invasion before you can use the block again. Dedicated server friendly. You can configure a minimum amount of days played for players before invasions start. Invasions will skip players that dont have the minimum amount of days played in survival or adventure mode (default 3 days), so new players that join wont get rushed with invasions right away until they play enough. You can idle/afk in a server in creative or spectator mode and it wont count towards your playtime. The invasion difficulty will scale up with you as you progress. I track a players equipment, damage per second, max health, distance from spawn and vanilla chunk inhabitance time to scale up the mob difficulty. Mobs will scale up in difficulty by their inventory equipment, health, attack damage, speed, xp of mobs and also how many spawn in an invasion.